« Have The Time Of Your Life On A Vermont Dogsledding Tour! If you’re a craft beer fan, you do not want to miss the Vermont Brewers Festival at Killington. This special, outdoor festival will feature over 30 exclusive collaboration beers. March 24th, 2018. The Vermont Brewers Association has been producing the annual Vermont Brewers Festival at Burlington Waterfront Park for 25 years, now. The 26th annual return of the event is scheduled for July 20th and 21st, 2018. 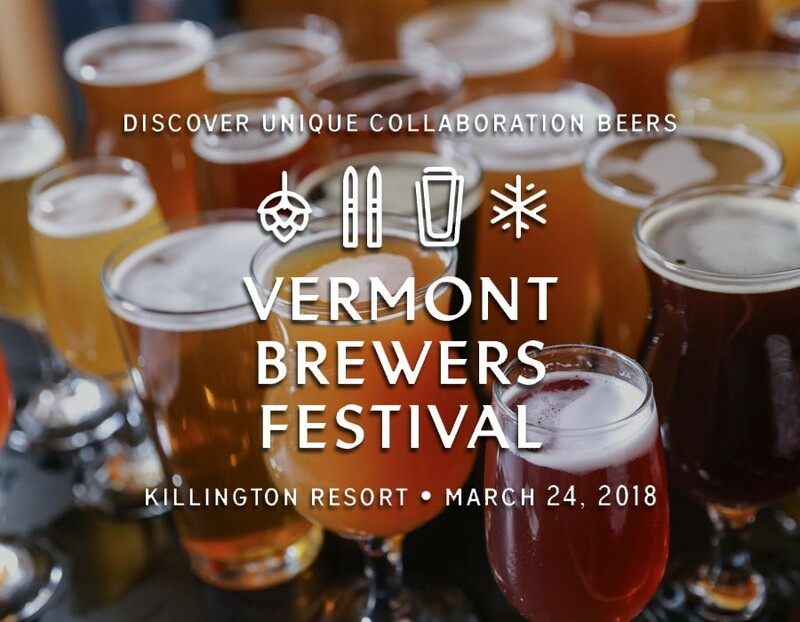 This new event, the Vermont Brewers Festival At Killington is a second, smaller, more intimate event held at the base of Killington’s K-1 Lodge. The one-day event has two sessions – 12-3pm and 4-7pm – featuring more than 30 unique collaboration beers. While the festival will also offer more than 70 other Vermont craft beers to sample, these exclusive collaboration beers will definitely be the focus. Collaboration beers are when two or more brewers come together to create a brew made unique by the blend of method and vision. Exclusive, small batch beers like these are a rare treat and offer a unique one-time experience. Many craft beer enthusiasts see festivals like like these as peak beer tasting experiences. Samples at the Vermont Brewers Festival At Killington are offered in 3, 6, or 9 oounce pour sizes. Ticket holders will also have a chance to meet and chat with many of the brewers about their beers. Food trucks will be on hand to keep your tummy full and fire pits to keep you warm. Plus you’ll be in the picturesque mountain setting of Killington Resort. Come out and embrace the elements at the winter themed, outdoor Vermont Brewers Festival at Killington! For directions, a list of participating breweries, or tickets to the Vermont Brewers Festival at Killington, visit www.vermontbrewers.com. You can also follow the event on Facebook. Deer Brook Inn offers distinctive yet casual Vermont lodging in our in Woodstock B&B. Our stylish, 1820’s farmhouse inn offers has four spacious guest rooms and suites designed for your comfort and relaxation. Make your reservations today at Deer Brook Inn!